PRODUCT DESCRIPTION: Liquid concentrate added to water and sprayed out to kill most any unwanted broadleaf as well as several species of grassy weeds. This formulation does a good job of targeting a wide range of weeds and is very efficient. You only need .5-1 oz per acre for most weeds and should only need to treat twice a year when used with a good pre-emerge like Surflan. 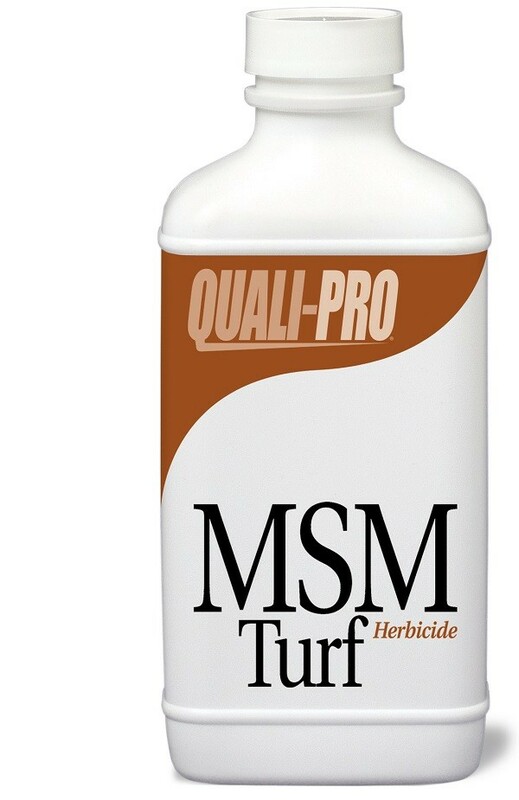 WHERE TO USE IT: Though it can be used in many areas, MSMA is most commonly used in mulch or turf grass where unwanted weeds are active and need to be killed. RATE OF APPLICATION: .25 oz per 10-20 gallons of water per 10,000 sq/ft of turf; 1 oz per acre. Keep in mind these are general guidelines since the label is variable depending on your target weed. Be sure to review the label (link below) to determine the best rate for your target weed selection.